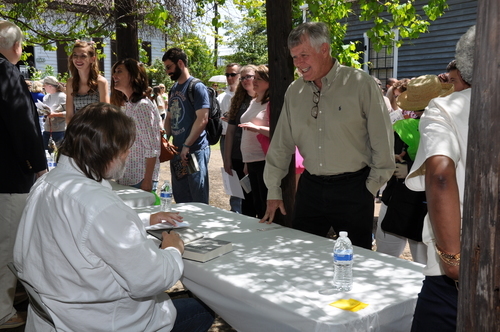 An author signs a book for a festival attendee. This free public event is the state’s premier book festival, with some 4,000 people from around the state and the southeast converging in the capital to meet with and hear from their favorite authors and scholars. A children’s activity area makes this a day of fun for the entire family. The 2019 Festival will continue the tradition of promoting reading and literacy to Alabamians of all ages and backgrounds.